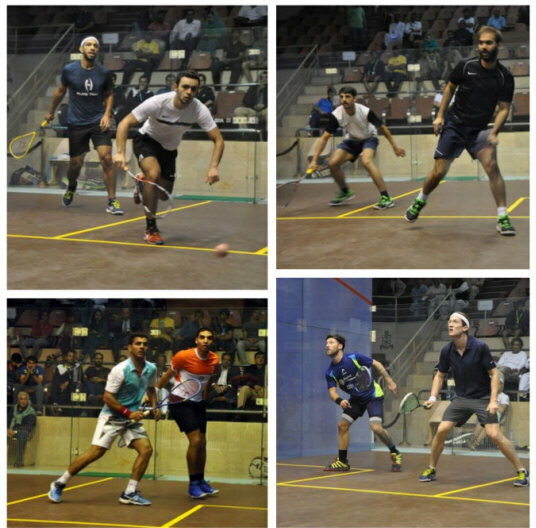 Top seeds Omar Abdel Meguid and Zahed Mohamed met in an all-Egyptian final in Islamabad, and it was second seed Mohamed who prevailed, leading two-nil when Meguid retired injured during the third game. 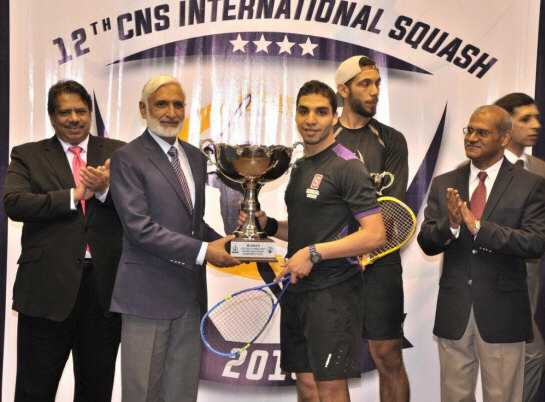 Meguid was aiming for a second title in Pakistan this month, while the win marks Mohamed's third PSA title, his last trophy coming back in 2012. "I'm really happy to make it and win the biggest tournament in my psa career here in Islamabad, it was tough but really I worked hard to win that one. "The crowd in Pakistan was amazing hope everyone enjoyed watching my matches.. was a pleasure that the legend jahagir khan watched me today and looking forward to come back next year. "I would like to thanks my family who are the main reason Of what I achieved today and want to thanks my coachs @ahmedshohayeb @hesham.eltorky for being on my side and their hard work with me and hope I made them proud. Next is the world open after few days." Top seeds Omar Abdel Meguid and Zahed Mohamed will meet in an all-Egyptian final after semi-final wins today in Islamabad. Both needed to fight back from a game down to secure their places in the final. Meguid lost the first game 5/11 to local qualifier Farhan Mehboob before squeezing through the next three 12/10, 14/12 and 12/10. 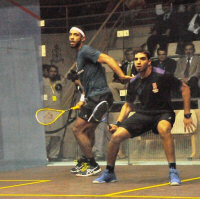 Mohamed faced third-seeded American Todd Harrity, who took the first game 11/7 before Mohamed responded by takinh the next three 13/11, 11/8 and 11/7. 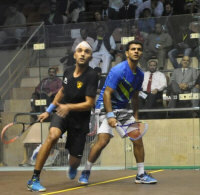 The final will be the pair's second PSA meeting, Mohamed coming out on top in a five-setter in 2014 in Hong Kong. Meguid will not only be looking for revenge for that loss, but also aiming for a second title success in Pakistan having won the COAS International earlier this month. 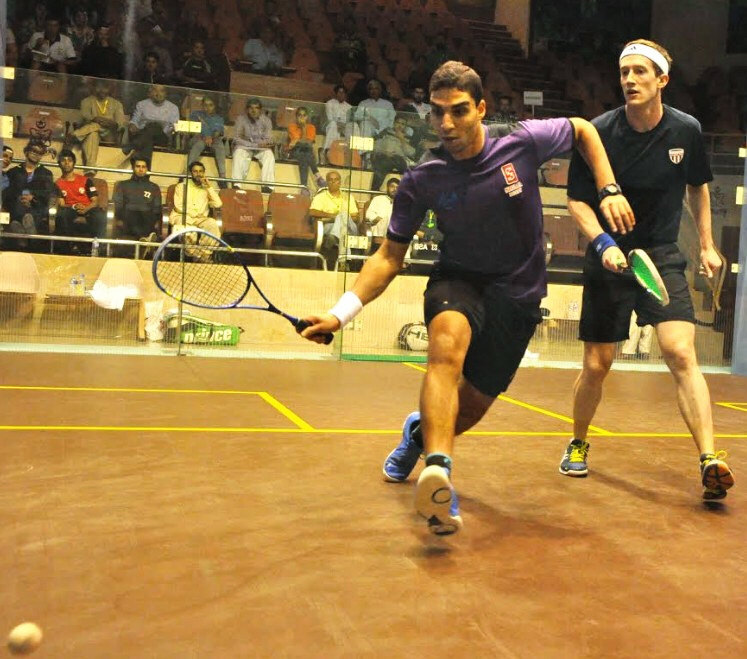 Qualifier Farhan Mehboob overcame fourth-seeded compatriot Farhan Zaman in the quarter-finals in Islamabad to become the only Pakistani to reach the semi-final stage. 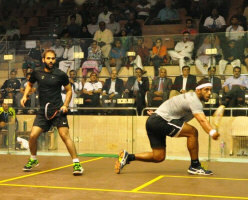 Mehboob now faces top seed Omar Abdel Meguid, who came from a game down to beat fellow-Egyptian qualifier Youssef Soliman. 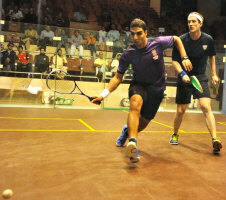 In the bottom half of the draw second seed Zahed Mohamed beat unseeded Tayyab Aslam in four games and meets American third seed Todd Harrity, who beat Welshman Peter Creed in straight games. 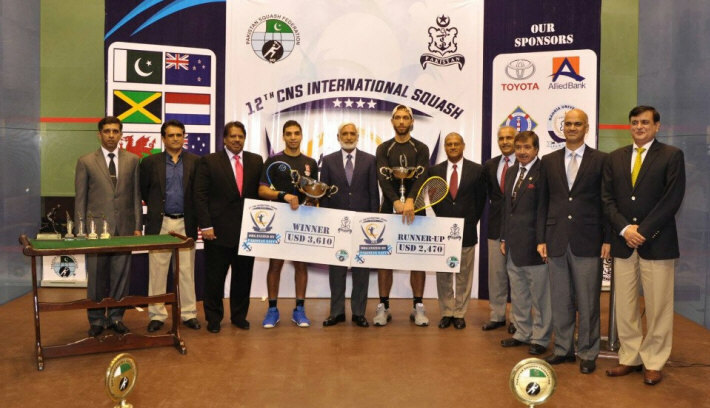 The first round of the CNS International in Islamabad saw Egyptian top seeds Omar Abdel Meguid and Zahed Mohamed advance to the quarter-finals, both beating Pakistani opponents. 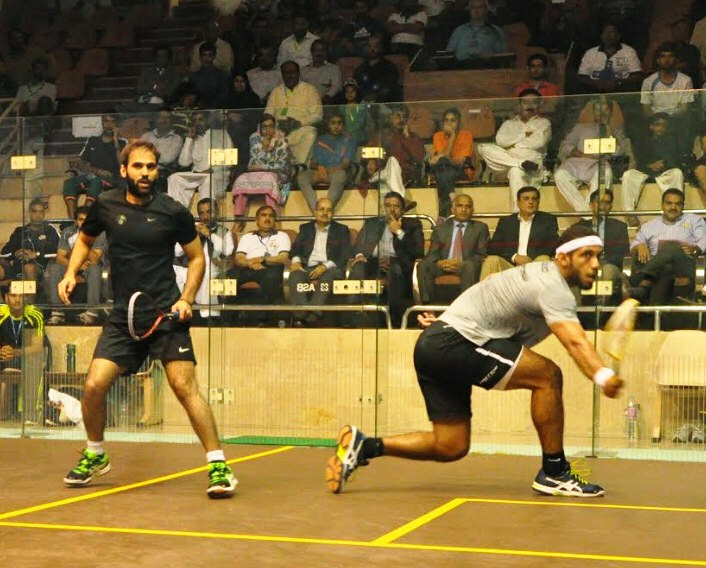 Top seed Meguid, winner of the COAS Internationel earlier this month, beat wildcard entry Asim Khan and faces an all-Egyptian quarter-final against qualifier Youssef Soliman, who beat fifth seed Rex Hedrick in five games, one of three upset results in the round. 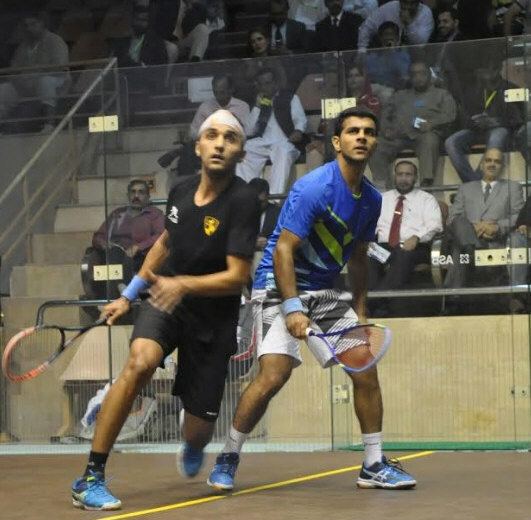 Mohamed beat qualifier Ahsan Ayaz in four close games and now meets another Pakistan opponent in Tayyab Aslam, who overcame sixth seed Mazen Gamal in a long four game match. In the other quarter-finals fourth seed Farhan Zaman meets qualifier Farhan Mehboob to guarantee a home semi-finalist while American Todd Harrity, the third seed, meets Wales' Peter Creed.